By the end you’ll have mastered a 3 card reading to showoff your new found skills! Bring a pen and paper if you’d like to take notes! Sarah has been working as a full-time professional psychic tarot reader since 2003, currently working from her private tarot office in King St Newtown. She has a unique, non-sectarian tarot reading style that is calm and grounding, while also accurate, inspiring and fun. Working with the tarot is a career that helps her to understand the complexities of humanity, and she very much enjoys the huge cross-section of society that she has the good fortune to meet. 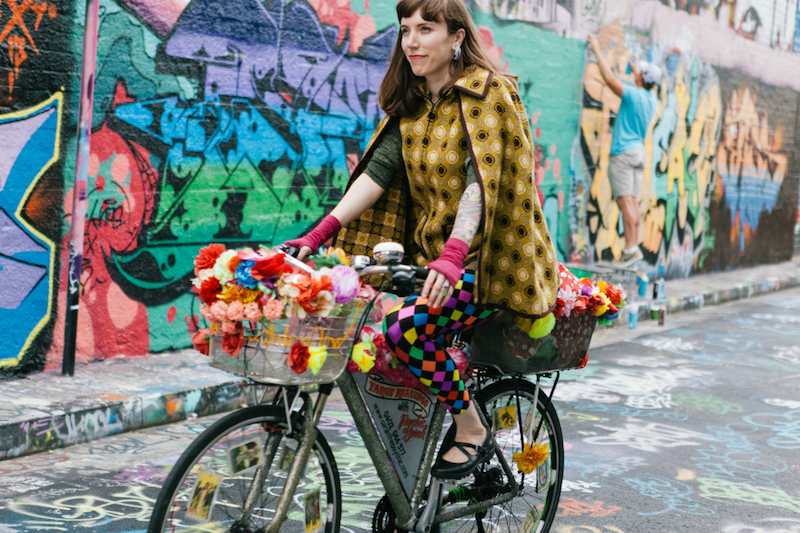 Sarah loves bringing tarot into the community in creative ways, most notably for her flowery glittery divination bike that has tarot cards in the wheels! In this class, Sarah hopes to share with you how powerful and effective the tarot can be to share stories of our lives. You can find out more about Sarah and her work at sarahthepsychic.com, and you can follow her on Instagram @sarahthepsychic .